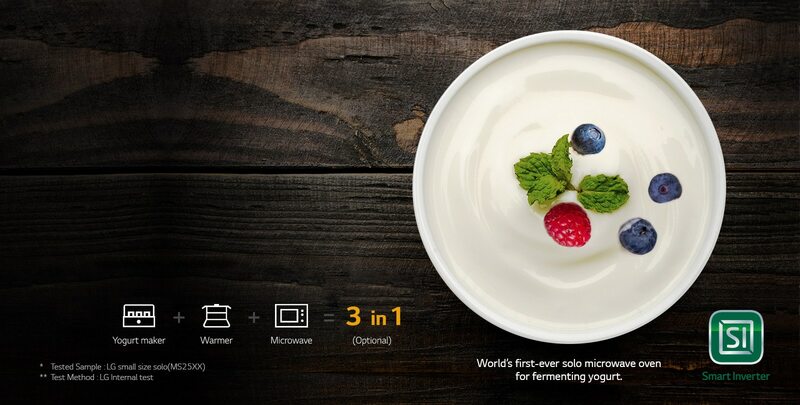 Cook variety of delicious dishes with LG's MS-2595DIS Smart Inverter Microwave. 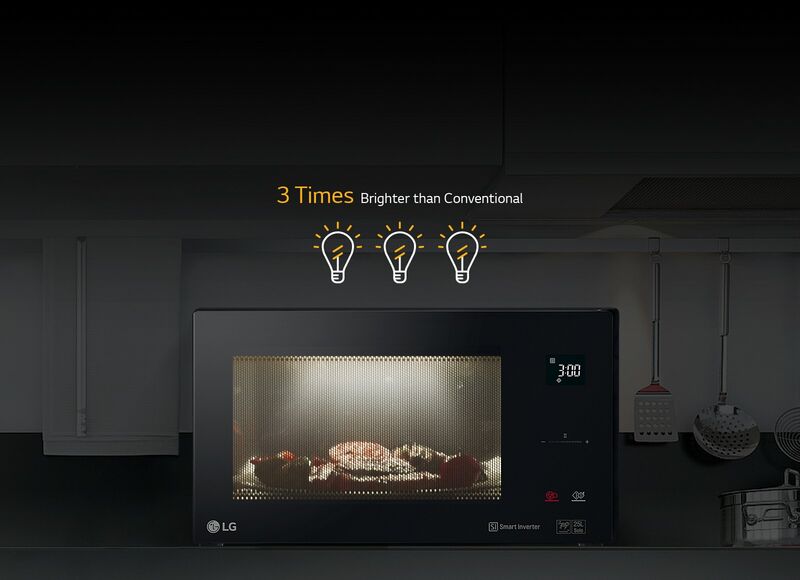 LG's Smart Inverter technology provides precise cooking power to reheat and defrost a wide range of foods faster than ever. Heat every dish to an even temperature using delicate temperature controls. By adjusting the temperature to fit the job, meat can be evenly and thoroughly defrosted more perfectly than you've ever experienced. Reduce cooking time for any dishes with up to 1200W of power on your side. With just one appliance, you can fry up foods or simply warm them up. The NeoChef can adapt to incoming power levels, which means you can always count on your microwave to perform, even in areas with low voltage, limited electricity or a low-incoming power supply (minimum 300W). The Anti-Bacterial EasyClean interior coating makes cleaning simple and convenient. The interior white LED lamp is 3 times brighter and more energy efficient.